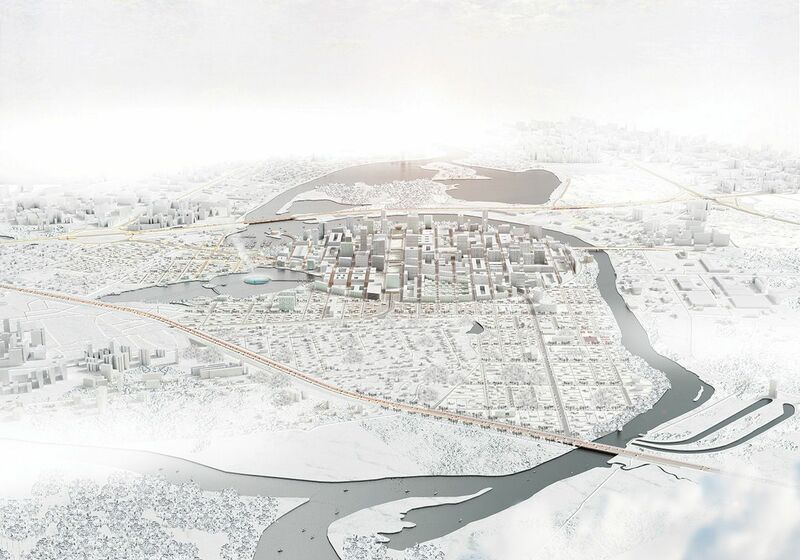 The installation of the new financial centre in the Moscow Region, on virgin land and along a majestic bend of the Moscow River, deserves a degree of excellence. IFC needs splendor in order to distinguish itself from the chaotic periphery, and in order to become an attractive brand of its own. The long-term success of the new Financial Centre depends, to a large extent, on the unpredictable future of the global and Russian economy and finance. 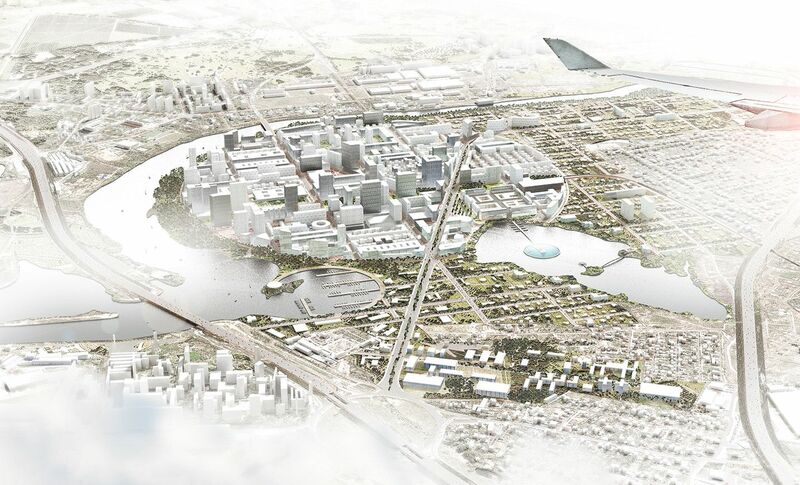 Its masterplan must therefore include a number of key qualities that embrace and transcend the uncertainty. Together they constitute our proposal, ensuring an intense, diverse and complex, but adequate conurbation. The surface of the required building program equals the surface of the site. However, a FAR of 1 does not allow for an attractive urbanity. 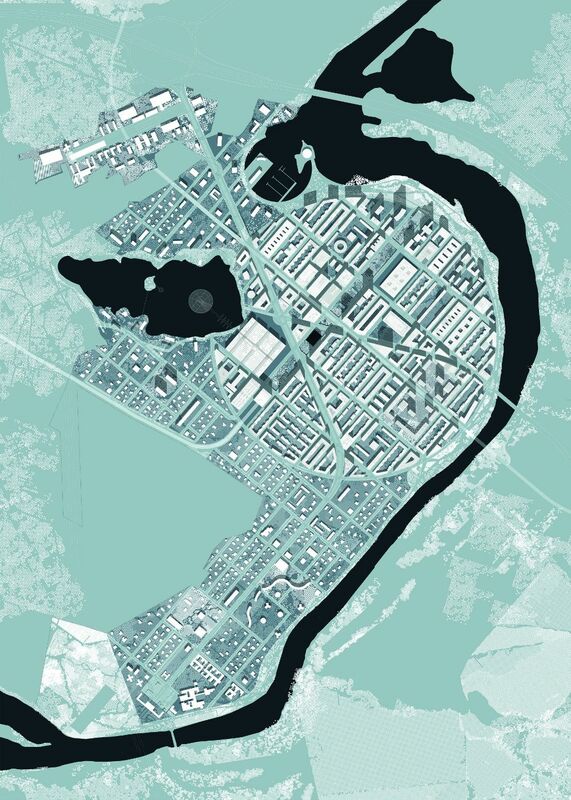 80% of the total program is thus organised on 38% of the land around the future access points at the north-eastern part of the site, and shaped into a circular city that fits perfectly in the natural peninsula created by the river. A southwest-oriented grid covers almost the entire site, binding the different elements together. It makes the new development stand out from its surroundings, but above all, it offers a wide range of possible built and programmatic infill. Installing the new center in the bend of the river, both majestic and frivolous, offers immediate visibility, iconic presence and attractive addresses. Along the river, a new promenade park is installed. New public landscape elements, such as a sunken linear park in the center and a grid of trees along the streets, are added. Phasing will be dominated by the accumulation over time of new infrastructural elements. Thus, the first phase without a major infrastructural input will be in the north, allowing for the immediate development of the northern business park and for a compact and mixed configuration of city programmes, along with destinations like the shopping center at the lake. Further phases will be linked to the consecutive installation of the metro line, new highway accesses, the train station, and public transport lines.